A Nintendo Direct broadcast back in April gave us a small glimpse of a new Yoshi's Island game in development for the 3DS, but very few details were given at the time. 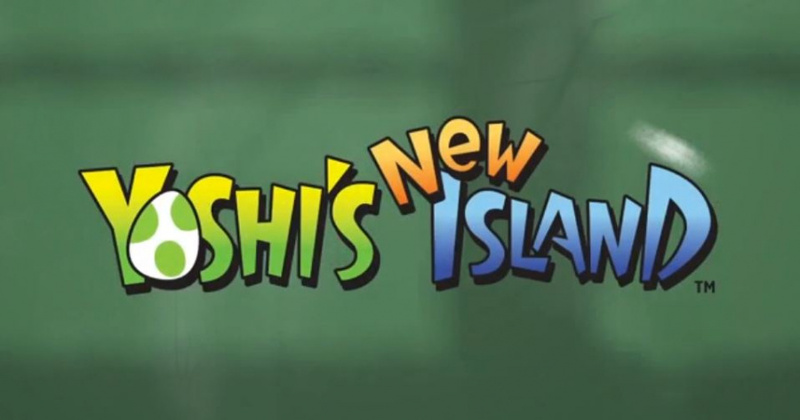 Its debut trailer has now emerged confirming the title of Yoshi's upcoming adventure, Yoshi's New Island, and features the cartoonish art style we've grown to love in the series. Classic Yoshi abilities will be available in the new addition, as well as new moves. Different worlds feature a variety of art styles; oil, watercolour and pastels. A release date wasn't confirmed, however a "holiday season" window was mentioned. Check out the E3 trailer below, and prepare to be totally relaxed with its soothing music. This doesn't look quite as exciting as I had hoped. Still, I look forward to seeing more. Just recently played played Yoshi's Island for the first time and thought ti was great. Nice to see they are finally making a sequel. I think the art style is awful. I loved the hand drawn sprites on the SNES and the DS version. The environments look bland and lifeless to me. What do you mean, finally making a sequel? Guess you never heard of Yoshi's Island DS that came out in (I thinK) 2006. I'm really not impressed by this. Gameplay looks bland and the graphics actually look kind of gross. Liked the trailer, looking forward to this. Wonder how it'll look in 3D. Looks fun, but I still think Yoshi's feet look off and awkward. Is it me, or wasn't this announced in the European Direct? Maybe my stream was lagging when it happened. Why wasnt this in the direct? Why do people complain about the art style? Even without pixels, it still looks amazing! I love the idea of changing art styles. That kind of thing has always appealed to me. I'll keep my eye on this one. I can understand people disliking the art style compared to the old ones, but the gameplay looks typically amazing! Yoshi's Island is firmly in my top 5 games, and yes, I'd prefer the hand-drawn style - but the idea of different art styles as the game progresses sounds excellent. Let's wait and see. Does anybody else think the name is kind of weird? Ugh. That 'cheaply rendered' artstyle. The music is quite charming, too. easily a must buy! can't wait to see the 3D on this game. I thought this would be released on Wii U. Maybe we thought wrong. Been waiting for a third Yoshi´s Island. What's up with Nintendo and placing the word "New" on their games? I think it looks great, I can't wait to play it! It's like Yoshi's story meets Yoshi's island. The biggest problem: Yoshi's baby-voice. Love platformers. 3D, 2D I take them all. Yoshi's Island? Not so much. Don't know why, but I didn't care for the SNES/GBA game. It's too slow perhaps. The art style reminds me of "And Yet It Moves." How about releasing the original "Yoshi's Island" on the SNES for the Virtual Console? @miletich3 I think you mean the yarn yoshi title which was surprisingly abscent of todays direct. Looks...exactly the same as the GBA one which isn't a bad thing. Looks adorable. More than likely another winner for the 3DS. The first one on the SNES was such a great game. I didn't play the DS sequel but I'm glad that they are making another one in the series. I will definitely pick this one up when it's released. I can't understand all those positive comments here, did people really played Yoshi's Island ? The number of 3DS games is astounding. This should also be on Wii U.
looks cool. I might have to get a 3DS soon. "Different worlds feature a variety of art styles; oil, watercolour and pastels." What a great idea! Props to whoever thought of this.